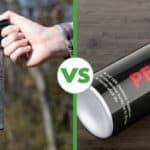 Bear Spray vs Gun – Which One Will Save You In The Wild? 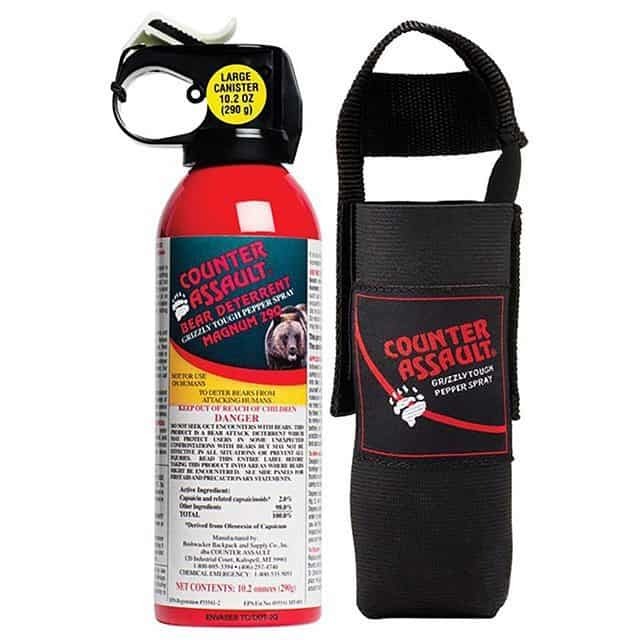 Bear spray, an OC derived product for deterring bears by temporarily cutting off their ability to see, smell and breathe by means of a fiery hot spray cloud, has made quite a mark on outdoorsmen around the globe. It has its supporters, claiming it to be more effective than firearms, and it has its opponents, according to whom it is nothing more than a fancy ‘feel-good’ product with no practical use. 2 What Do Wildlife Agents Say? 3 What Does Research Say? 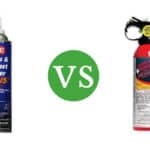 In recent years, however, there has been a greater swing towards the former in the bear spray vs gun debate, thanks to the publication of some compelling research. Still, with state and federal wildlife agencies the use of bear spray on the one hand, and your basic human survival instinct suggesting a .44 magnum on the other, you may find yourself in quite a dilemma – I know I did. That’s why I did some homework to decide, once and for all, which of the two contenders comes out on top in the bear mace vs gun debate! What Do Wildlife Agents Say? As I’ve said before, to many of us, a hefty firearm seems to be the ultimate solution for dealing with most mortal threats, be it a human threatening our life / property, or a wild animal. However, if the experiences of operatives of the U.S. Fish and Wildlife Service are anything to go by, using a firearm to defend yourself against a charging grizzly carries a 50 percent risk of serious injury! According to them, it isn’t a question of presence of mind or of marksmanship – taking on a charging bear with a rifle means you’ll have to shoot it smack in the head: the chances for that can be quite slim when your target is hurtling towards you! 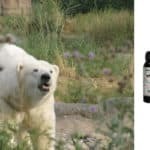 Conversely, using pepper deterrent against a bear lets the would-be victim escape unscathed most of the time – even when injuries do occur, they are considerably less severe. ​Bear spray had a better rate of success under various circumstances, as compared to guns. Using a firearm did not reduce the chances of injury from a bear. The two researchers studied documented cases spanning well over a century, encompassing 357 bears, 444 people and 269 close encounters, and weapons including handguns, pistols, long guns, besides bear spray. These spray vs gun statistics would have been enough to compel a numbers fanatic like me, but another one of Dr. Herrero’s studies raised some questions in favor of gun use as well: This study documented some encounters where mace was used against an aggressive bear – but it only had a temporary halting effect on the beast, after which it continued its behavior, even when given a substantial dose. 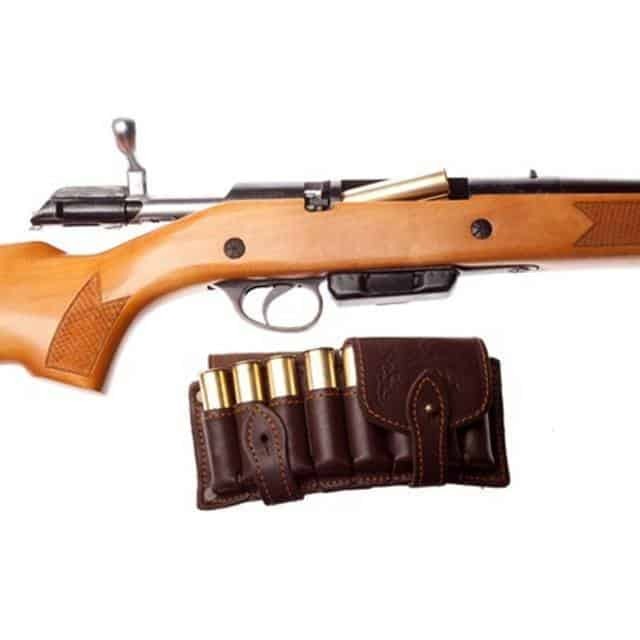 In fact, firearms had to be deployed in a few of these cases to ultimately kill/deter the bear. 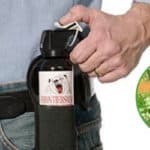 Whether you’re a gun supporter or a bear repellent advocate, the only sure way you could find out if your approach works is squaring off against an angry bear in the wild – a less than desirable situation, to say the least. It is far more sensible to be proactive: keep an eye out for signs of a bear and give it a wide berth altogether, and have a clear understanding of how bears behave in the wild. Above everything else: don’t go seeking trouble. 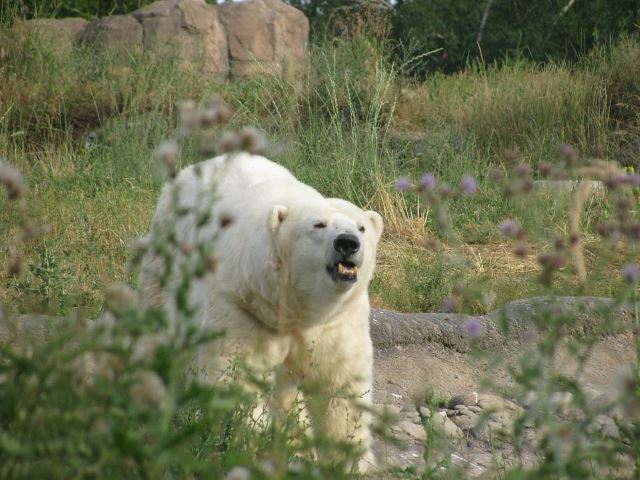 In the wild, you’re an outsider and an instant threat to most of its inhabitants, including bears. Being respectful of their territory is tantamount to your safety. After going through so much information on the bullets vs spray debate, I realized that there is no perfect self-defense method against bears. Bear spray won’t guarantee your safety to a certainty, and neither will carrying a gun. In fact, if used inexpertly, both could actually do more harm than good! 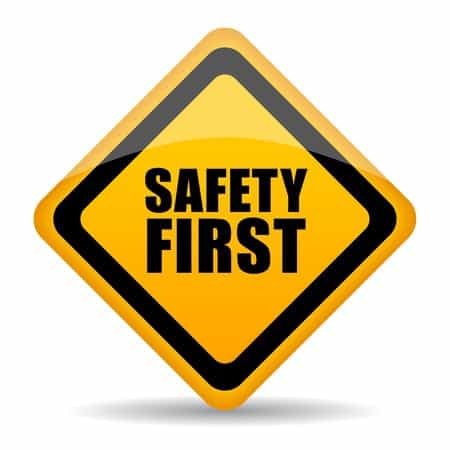 However, if you know what you’re doing, both can serve you well depending on the situation you’re in; it just so happens that bear spray, statistically, enhances your chances of survival much better than a firearm. Remember, that carrying firearms may be prohibited in some national parks, so you’ll have to use bear mace whether you like it or not. If at all possible though, I would suggest carrying both a powerful bear spray such as Counter Assault, and a handgun with some serious stopping power e.g. a 44 mag.If you’ve got any further queries, don’t hesitate to ask in the comments section below. If you’ve got any further queries, don’t hesitate to ask in the comments section below.